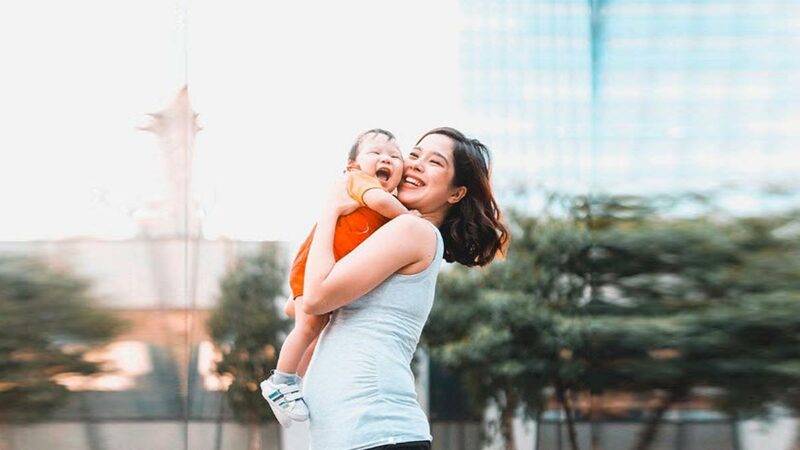 Saab Magalona is all smiles with "Kuya Pancho" as the mother and son announce the good news. Saab Magalona is pregnant again! The first-time mom made the announcement through her Instagram account. Her post read, "Kuya Pancho can't hide his excitement!" Saab and husband Jim Bacarro are expecting another child a year after they welcomed their son, Pancho, and lost their daughter, Luna. Luna was Pancho's twin sister. A number of celebrities expressed their excitement for Saab and her family. Close friends Megan and Lauren Young were among the first to leave a comment. Megan said, "I love you!!!!! So happy for you guys!!!!" Lauren expressed her excitement for Pancho, "Kuyaaaaa kuy kuy!!!!!!!!!! [three red heart emoji] YAAAAAASSSSS!!!! 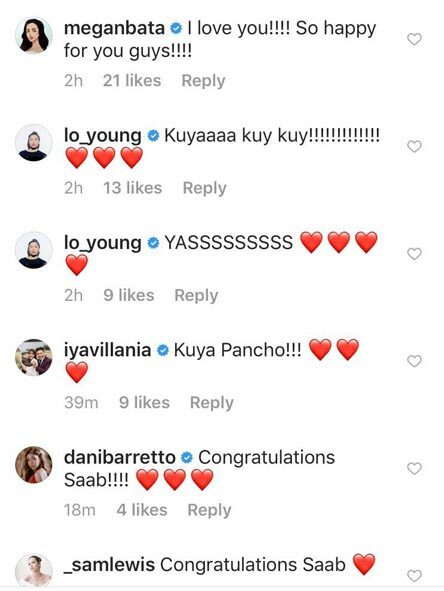 [four red heart emoji]"
Fellow celebrity mom Iya Villania was also happy for the family, saying, "Kuya Pancho [three red heart emoji]"
Social media influencer Dani Barretto and model Sam Lewis congratulated Saab.